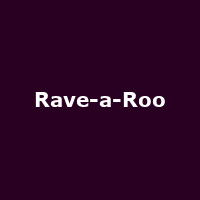 "Rave-A-Roo is a clubbing mash-up of festival fun for the whole family. It's the ultimate party with top DJs, the disco ball games, LIVE stage performances, Rave-A-Roo hosts, confetti mayhem, neon craft, a chill time room, PlayGlow toys, UV tattoo station and the chance for mini-clubbers and their adults to take on the dance floor with Rave-A-Roo resident artists Go!Go!Go! (Dance Set) as seen on Nick Jr."